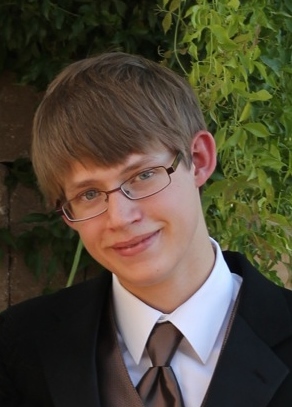 Joseph Michael “Mikey” Allred, 19, of Queen Creek, Arizona, passed away very peacefully December 26, 2014 in Phoenix, Arizona. He was born July 14, 1995 in Provo, Utah and was the youngest of six children. Mikey had the natural ability to make you laugh and had a heart of gold. He was a friend to all and will be missed greatly. Mikey is survived by his parents, Steve and Cheryl Allred, sisters Nikki Dopp (Bryce), Jenna Michael (Gary) and Sara Randall (Brick); brothers Danny and Davey, as well as 11 nieces and nephews. Services will be held on Friday, January 2, 2015 at the LDS Church at 19413 S Sossaman Rd, Queen Creek, Arizona. The service begins at 10:00 am, preceded by a vistation at 9:00 am. Interment following the services will be at the City of Mesa Cemetery. In lieu of flowers, the family asks that you consider making a donation to Phoenix Children’s Hospital. Arrangements handled by Bunker’s Garden Chapel, 33 N. Centennial Way, Mesa, Arizona. My love and condolences to Mike ‘ s family. You are still in my prayers. Mikey has brought our family so much joy and laughter. He is such a genuine, clever, fun and loving soul. I knew about Mikey from stories of scout camp before I even met him. There are so many “Mikeyisms” we use on a regular basis including “ring, ring, Hello…”, “release the cracken”, and of course, the Mikey. His ability to laugh and love lige despite his many physical struggles is such an inspiration. Mikey will always be loved and remembered in the Parkinson home. We can’t wait for that day when we will get to see him again. I went to elementary school and church with him and his family was close to mine. He was always such a nice and funny guy, I wish I had gotten to know him better, but when we did talk, I know I left with a smile. Michael was a dearest friend to me from Twitch…. I will always miss you, you were a brother to me, and i wish i could have said goodbye. My thoughts and prayers are with Mikey’s family. The teachers who taught Mikey are thankful to be given the opportunity of getting to know such a great kid. Mikey brought out the best in his teachers and helped us become better people and educators. May the family find strength and peace during this difficult time. It was a blessing to have Mikey in our family, and he will be missed. He was such a great, sweet kid, and we are so sorry to lose him. But only for a while, I guess. Our family reunion in heaven will be sweet! Our love and prayers are always with you. 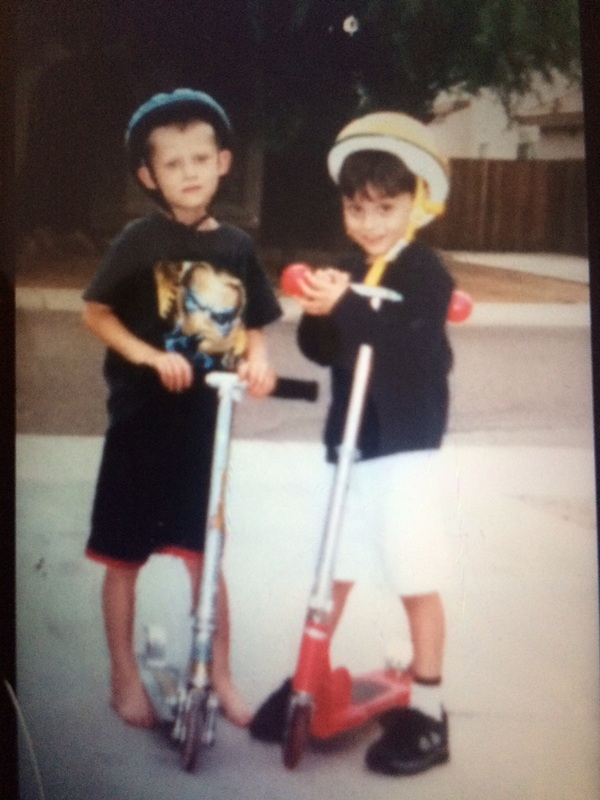 Christian Mercado: Please say on my behalf at the services: Michael Allred was my best friend. I grew up with him, I was always by his side. Everything about my personality, is in one way or another molded by him. He was funny, kind, spontaneous, weird, warm-hearted, and never failed to put a smile on the faces of those around him. It pains me greatly that he is gone from us, but his years of suffering are over, and that is beautiful. I love you Mikey, you will always be my buddy. You have forever impacted my life in ways nobody will quite understand, not even myself. Thank you for being there for me for the many years we spent together. Rest in Peace, brother. We were so saddened to hear about Mikey. Seeing him grow up and be such a fun and loving kid was an honor. We love the Allred family. I enjoyed serving with Cheryl and truly learned a lot from her on being a mother. Mikey truly loved his parents and they him. We loved to see how he was always laying his head on one of them in church. It is a true testament of Heavenly Father’s plan to know that Mikey would need such strong and pro active parents and family to help him through his struggles in this life. We believe without any doubts that Mikey and his family will be together again and his body will be whole and perfect. Even though we only knew each other for a short period of time, I felt as though I had made a friend for life. When we first met via Twitch.tv , he was just full of life and a joy to everyone around. I really enjoyed staying up late so we could play video games together. He was a kind soul and I know he is in a better place. I wish there was something I could do to ease everyone’s pain, but that would be impossible. He will always be in my heart. We will miss you buddy. I’m deeply sorry for your loss. It’s my hope that you can draw comfort and strength from Jehovah God’s promises in the Bible. At Revelation 21:3,4 and John 5:28,29 he promises there will soon be a time when there will be no more pain, sickness, or death, and we can see the loved ones we have lost again. Please accept my deepest condolences.